This month, we’re sharing why we think cats are so a-MAY-zing. Read on to find out about cats through different cultures and how those ancient felines helped shape history! When picturing ancient Egypt, the Great Pyramids of Giza commonly jump to mind – and we all know who sits regally above the pyramids: the Great Sphinx of Giza. What is a sphinx, though? Bearing the head of a human and the body of a lion, a sphinx is commonly found at the entrance to a tomb, to note the closeness of a pharaoh with the solar deity, Sekhmet, a lioness. Did you know that cats were actually worshipped in ancient Egyptian culture? In fact, killing a cat resulted in the death penalty! Trading cats was also a big no-no, and there was even a branch of Egyptian government dedicated solely to preventing the exportation of cats from the country. In ancient Persia, cats were not only regarded as special, they were considered magical! Legend has it that a magician created cats from a plume of smoke, fire, and the stars themselves. He created the kitten as a gift of thanks for a hero that saved him from thugs, and from there, cats came to represent gratitude. No wonder we feel so grateful for our cats! Some might say that Queen Victoria of Great Britain started the age old debate of cats vs. dogs. Queen Victoria fancied herself a dog person, but upon learning more about the cats featured in archaeological news out of Egypt, she quickly changed her tune. Shortly thereafter, the Queen adopted two Blue Persians and treated them as royal members of the court! Before long, many people in Great Britain were following the Queen’s lead and adopting their own cats. Did you already know about your cats fantastical lineage? We’ve got more where that came from. 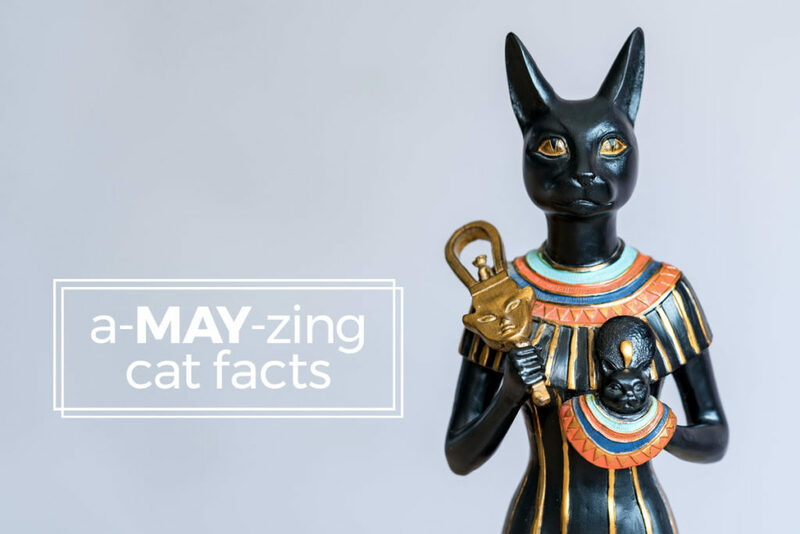 Stay tuned for more a-MAY-zing cat facts throughout the month of May!